Satsuki All2x264 is a GUI made to encode/transcode any video file in a mkv with a x264 + aac/ogg/mp3 compression. This software is not an all-in-one dvd converter, it can only encode a video file. 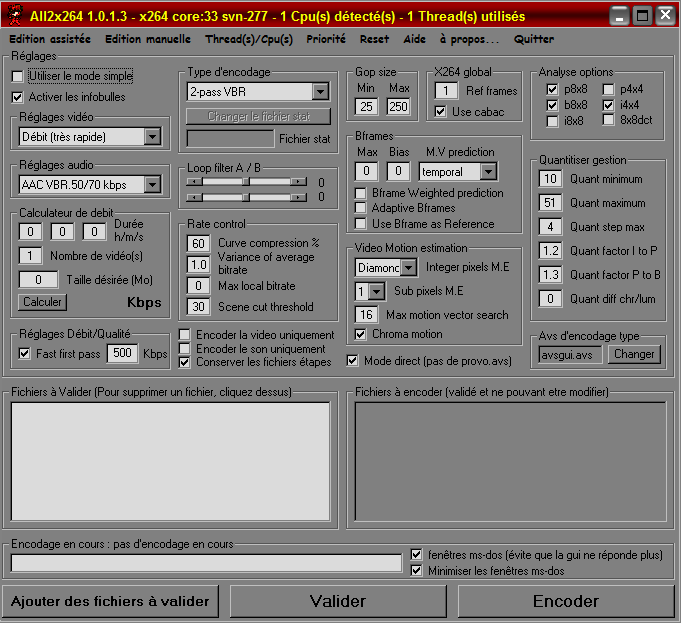 The software is available in French only at present.